Not all sunscreens are created equal, according to the U.S. Food and Drug Administration (FDA). The federal agency recently released guidelines on SPF ratings, meant to help discern the effectiveness of sunscreen products and to put a halt to the practice of boosting SPF levels to unrestricted values. The FDA wants to clear up some of the myths that surround the ability of sunscreens to protect against too much sun exposure. There will now be a standard set of tests to determine whether or not a sunscreen can rightfully be labeled “broad spectrum.” Under the new regulations, a broad spectrum sunscreen should protect against both ultraviolet B radiation (UVB) and ultraviolet A radiation (UVA). Although both types of radiation can raise sunburn symptoms, skin cancer, and wrinkles, UVB is most likely to cause sunburn. Before the FDA passed its new regulations, sunscreens did not have to provide protection against both forms of radiation—many only shielded against UVB. Any sunscreen that you pick up from the shelf of your local pharmacy that isn’t labeled broad spectrum will only protect you against sunburn. This is important for you to know. There are many myths surrounding SPF ratings. One such myth is that the higher an SPF number—let’s say over 50—the more protection you’ll get. According to the FDA, having an SPF rating of 50 will not protect you any better—at some point, these high ratings are not effective and do not work. A sunscreen that claims to have an SPF rating of 100, for example, may erroneously lead you to believe that you have double the protection from the sun. 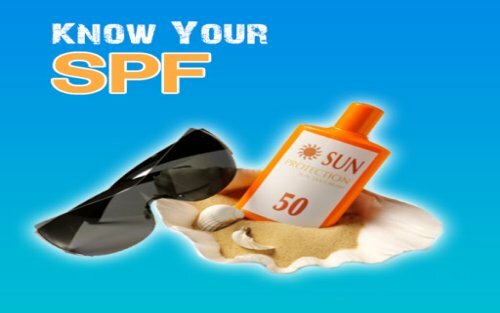 In fact, the sun-protecting difference between SPF 50 and SPF 100 has been shown to be only two or three percentage points. People also mistakenly think that the higher the SPF number, the longer the sun protection will last. The truth is that high SPF numbers can be a marketing ploy. Applying SPF 30 every few hours is a better way of protecting yourself than just applying SPF 100 and then spending 10 hours out in the sun. As for sunscreens labeled “water-resistant,” the FDA now requires time limits to be placed on these claims. Manufacturers must tell consumers whether their sunscreen will protect a user for 40 minutes or 80 minutes when swimming or sweating. This is to prevent consumers from assuming they can apply a “water-resistant” sunscreen and go ahead and swim for hours. The FDA also wants manufacturers to stop using the words “water-proof, sweat-proof, or sunblock.” All of these terms lead consumers to believe that they are fully protected from the sun’s radiation indefinitely. One final point to consider about the FDA regulations: spray-on sunscreen is made differently from sunscreen creams. The FDA wants to review the effectiveness of these sprays compared to creams. The agency has also expressed some concern about inhaling the vapors from spray sunscreens. Until a more definitive answer comes along, choose sunscreen in a cream form instead. When you go out in the sun, it’s important to protect yourself. After all, a sunburn might not seem like a big deal now but it can lead to skin cancer even years down the road. Make sure you’re wearing enough sunscreen to enjoy the sun, without the worry. Brody, J.E., “Explaining Sunscreen and the New Rules,” New York Times web site, http://www.nytimes.com/2011/06/21/health/21brody.html?_r=0, last accessed May 21, 2013. Pissavini, M., et al., “The likelihood of sunburn in sunscreen users is disproportionate to the SPF,” Photodermatol Photoimmunol Photomed. June 2013; 29(3): 111-5.